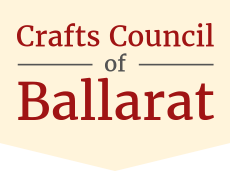 Home | Crafts Council of Ballarat Inc.
Come and see a wide selection of beautiful, original, locally handcrafted giftware. Adam Lindsay Gordon (1833 – 1870) was a well-known early Australian poet. This cottage was his home while in Ballarat and from where he operated a livery stable business during the late 1860’s. The cottage was moved from its original location behind Craig’s Hotel to the present site in 1934. In 1992 the cottage opened as an outlet for local crafts.